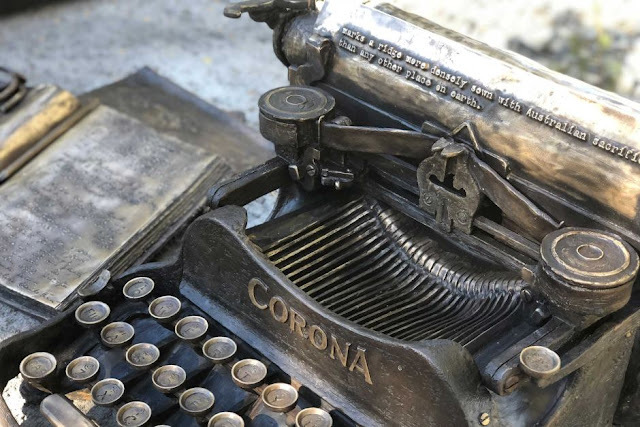 This incredibly detailed sculpture of a Corona 3 portable typewriter is the work of Jane Estelle Bailey and Mark Andrew Snell of the Lavaworx Art Studio in Coolum, Queensland. 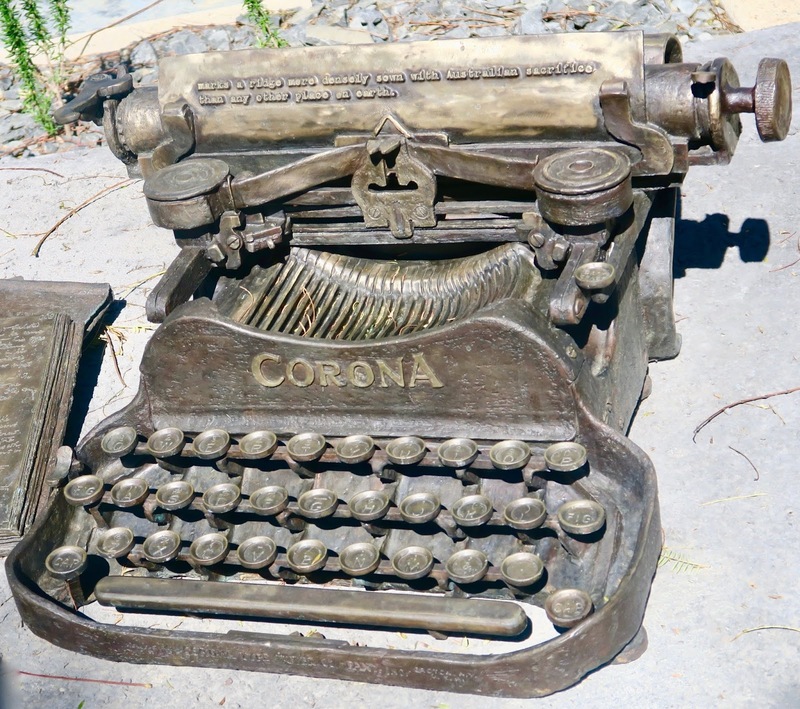 The sculpture represents the typewriter used by Australia's official war correspondent and war historian Charles Bean when he covered the Gallipoli landings in 1915. The sculpture is part of the Gallipoli to Armistice Memorial in Maryborough, Queensland. At a time when senseless mass killings seem to be part of our weekly life, Anzac Day will yet again be marked by many tens of thousands of New Zealanders and Australians tomorrow. Anzac Day has become much more than the simple, muted show of respect for the war dead that it was in my younger days; now it's an annual ritual which almost appears to macabrely celebrate the slaughter that occurred on the beaches of Turkey in 1915. On its fringes, it's a touchstone for espousing the worst kinds of nationalism. Indeed, the pilgrimage to Gallipoli has itself turned incendiary, with Turkish leader Recep Tayyip Erdoğan - in the aftermath of the Christchurch mosque murders - saying, “Your grandfathers came and saw that we're here. Then some of them walked back, while others left in coffins. If you come with the same intention, we'll be waiting for you." Erdoğan later, allegedly, backed away from that veiled threat, and about 700 Australians and 500 New Zealanders will attend dawn commemorations at Gallipoli. But, for me at least, it's not a healthy sign that Erdoğan's Government has barred Turks from attending. "Nothing is left to chance and keeping every Turkish person out eliminates a lot of risk," said an official. The Turkish military has imposed the lockdown after a huge security sweep. It's exceedingly sad that this has become a necessity. When, 104 years ago, Australian invaders on Turkish sovereign soil exchanged deadly gunfire with Turkish defenders, there was, oddly enough, still a small spark of humanity left. There was a truce on May 24 to collect and bury the bodies which carpeted no man's land, and as this image shows, Australian Diggers came to the aid of wounded Turks in the foothills of Achi Baba, the height dominating the Gallipoli Peninsula. A 1915 H.J. Watson recruiting poster. 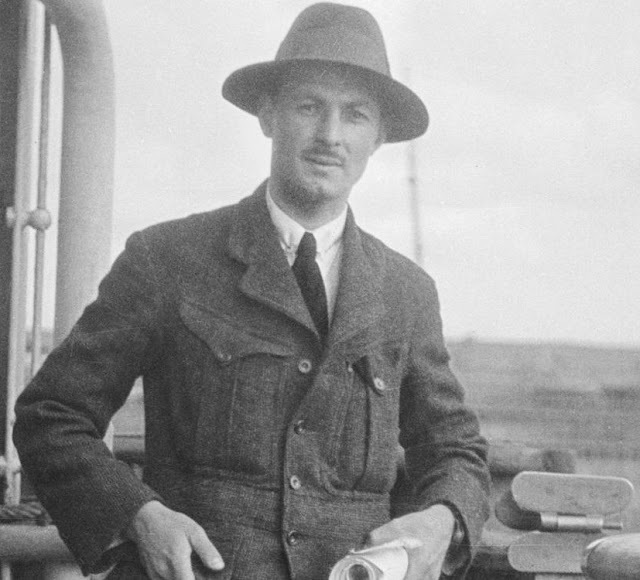 Many of these acts of compassion were written about by the typewriter-wielding journalists who covered the Gallipoli campaign, notably Charles Bean, his fellow Australian Phillip Schuler (who also used a Corona 3), and the Englishman Ellis Ashmead-Bartlett (Empire lightweight). 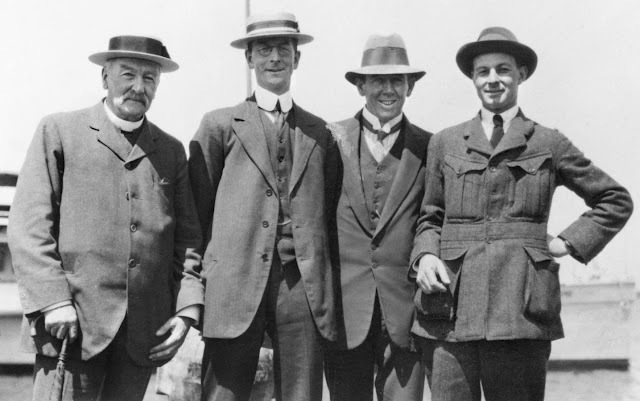 But it was, in the main, these three men with their portable typewriters who created the enduring Anzac legend, a story of "glorious sacrifice" in the cause of British imperialism. As that same Britain now heads toward the self-imposed catastrophe of Brexit - rendering the nation a friendless orphan rather than a "mother" land - marking Anzac Day should perhaps be seen more and more as outdated, irrelevant and inconsequential. Or just plain silly. Strangely enough, however, quite the opposite is the case. Has our growing fascination with killing fields become so great we can't let go of Gallipoli? Are we now so imbued with mass murder that we need to continue to "celebrate" atrocities from more than a century ago? It would seem so. Certainly Anzac Day is being marked with increased passion as each year goes by. Schuler at Mena Camp, Egypt, Christmas Eve 1914, with his Corona 3 in its case. on his way to Egypt in October 1914. 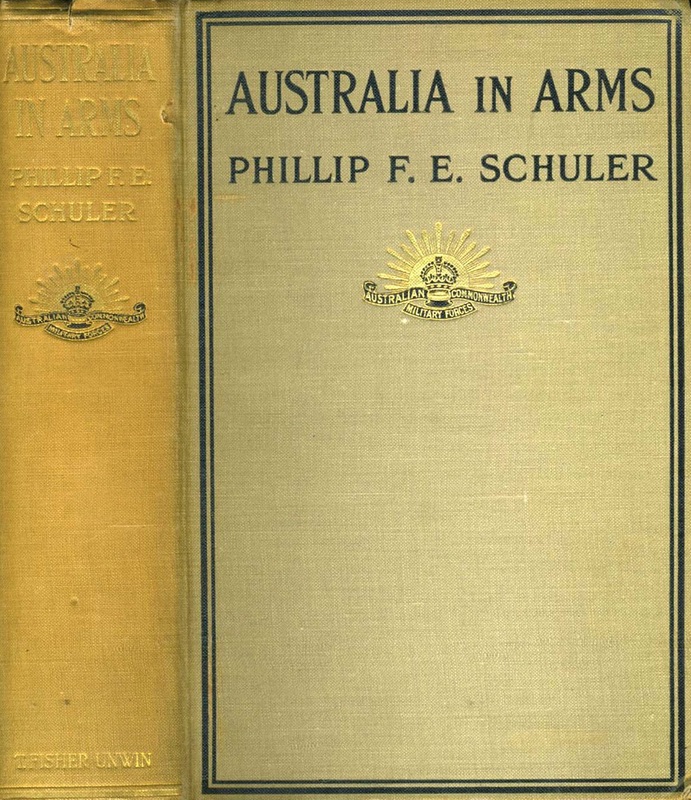 One of my former editors at The Canberra Times, Mark Baker, now in charge of the Melbourne Press Club, in 2016 published a biography of Schuler, Phillip Schuler: The Remarkable Life of one of Australia's Greater War Correspondents. Unfortunately, it is laced with typographical errors (why do writers waste space thanking editors who have so badly let them down? ), but the book is nonetheless an interesting read, including as it does intimate details of Schuler’s two love affairs – and the child about which he knew nothing. His lovers were Mrs Nelly Rossi (above left) in Cairo and Mrs Polly Howard (above, right) in Victoria, Australia. 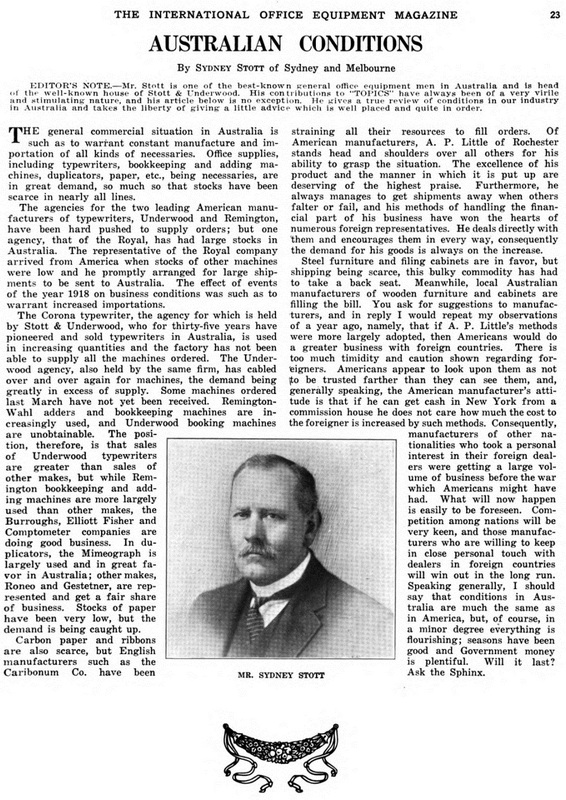 Canberra writer and historian Kristen Alexander, in her Honest History review of Baker's book, felt that given this purported to be a biography of one man, far too much space was devoted to Schuler's fellow war correspondents. She said the book showed an "apparent bias against Keith Murdoch ... Murdoch and his Gallipoli letter [typed on a Corona 3] are savaged. The prejudice continues throughout, on occasion verging on the vindictive." Personally, I felt Baker's rancour toward Murdoch (father of Rupert Murdoch) was more than justified, but Alexander's review remains fair. Still, Murdoch's unreliable "Gallipoli letter" embellishments of Ashmead-Bartlett's criticism of the Gallipoli campaign merely fueled the notion that the Anzacs gave their homelands nationhood, at the cost of oceans of young Antipodean blood. Was it all worth it? In the long run, as Brexit nears, the answer is a most definite no. But history is what it must be, irreversible. 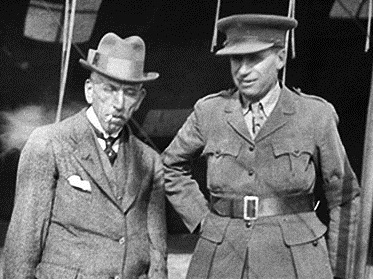 The Machiavellian and manipulating Keith Murdoch, right - a true inspiration for his son Rupert - with the then Australian Prime Minister, Welshman Billy Hughes, in France in World War I. Both used Corona 3 portable typewriters. 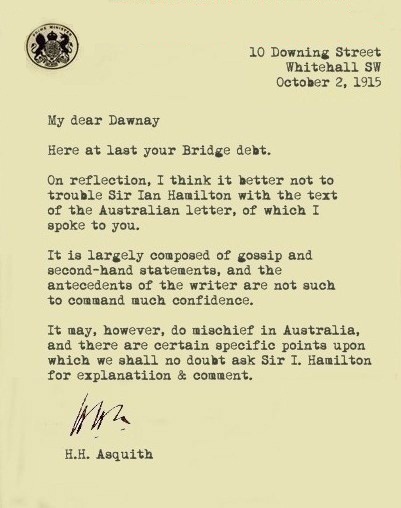 A letter from British Prime Minister Asquith shows what he thought of Murdoch. Nevertheless British military leader Ian Hamilton (below) was removed from the Gallipoli campaign. 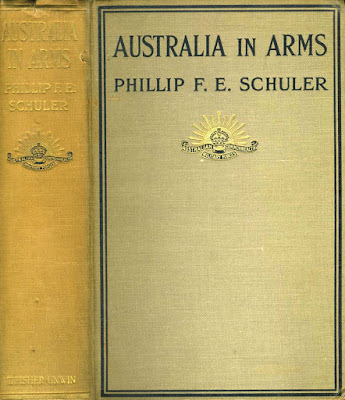 Schuler, whose father Frederick (below) was editor of The Age newspaper in Melbourne, returned to Australia from Gallipoli but in 1916 enlisted as a solder and returned to the battlefield, serving on the Western Front. He was killed at the Battle of Messines in 1917, aged 28. 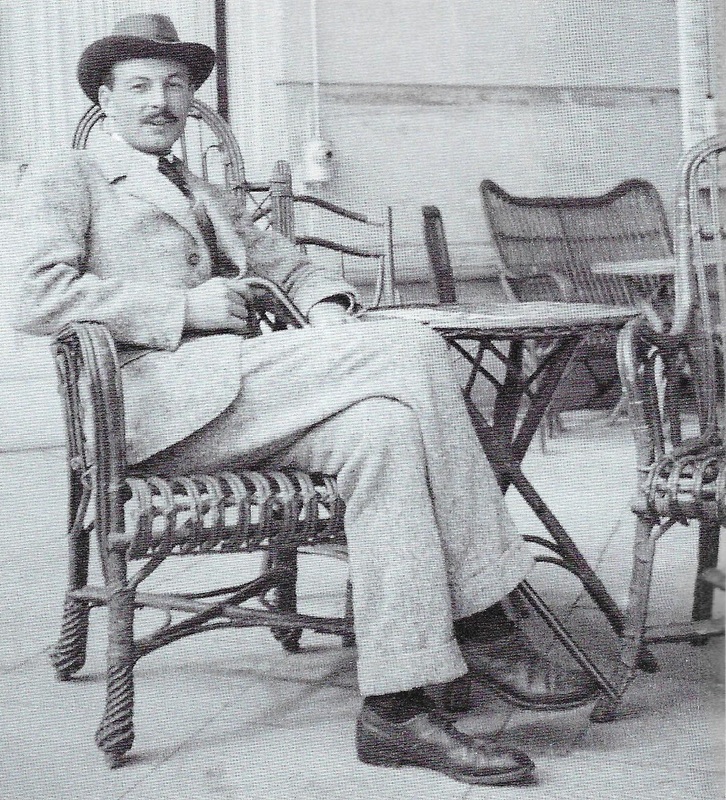 Schuler at a Cairo hotel. Schuler in 1914, far right, with Charles Bean, second from left, Bean's father the Reverend Edwin Bean, far left, and Archie Whyte of The Sydney Morning Herald. Last evening I was watching an episode of the BBC's Antiques Roadshow on ABC TV, and started daydreaming about finding typewriter treasures. The first one that always comes to mind is a Sphinx for Richard Polt (these fantasies are fairly common for me, I should add). Maybe a Sphinx was sent to Australia, to try to tempt one of the major typewriter importers into marketing the model here. I first thought of the Chartres family and then I thought, no, the Stotts would be my best chance. A descendant of the Stotts would get in touch with me and offer me a typewriter. Some chance! "Hi Robert, My husband is the grandson of Sydney Alexander Stott. We have a portable Underwood from Canada, circa 1930-40s which needs to find a new home. Any suggestions? Karen." I swear, every word of this is true. Spooky? You betcha it is! Looks like all the posts about the Stotts on this blog might be starting to pay off. Now I'm waiting on a message about a Sphinx. Remington Typewriter Company at 327 Broadway, New York City, in 1900. Were two young Massachusetts ladies – the misses Mary Esther “Mae” Carrington of Springfield and Alice Mary Schreiner of Boston - there to type with Underwood standards to enhance the impression of energy, enterprise and intellect? To quicken human genius? To broaden and brighten daily life? To open storehouses of information? Not one bit of it - though a lack of loyalty to their former employers, Remington, might suggest a degree of enterprise on their part. They had been “scouted” by Underwood and were at the World’s Fair to earn their keep, pure and simple. Their occupation was professional speed typing. And as professionals in a sport of sorts, fidelity meant nothing. 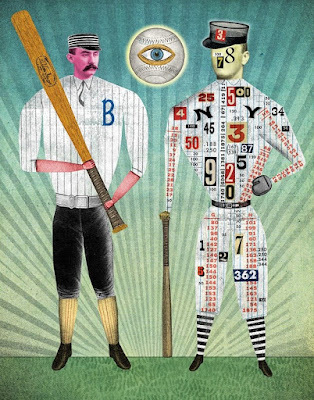 It was exactly the kind of perfidious behaviour that traditionalists in sport, guardians of the amateur ethos, had been warning against for more than 30 years. Chester, Massachusetts-born Mae Carrington (1878-1944) and Brooklyn-born Alice Schreiner (1878-1961) switched sides, as it were, for money, for cash inducements. In October 1906 it was estimated by the Detroit Free Press that Carrington earned up to $100 a week (equivalent to $2800 a week today). Earlier in 1901, Schreiner and Carrington had been enticed away from Remington with the lure of such rewards from the Wagner Typewriter Company, then makers of the Underwood. If they’d been accused of selling their (Remington developed) skills to the highest bidder, they might well have shrugged their shoulders and pointed to the examples in other forms of popular entertainment. The Ivy League gave America its beloved variation of football. Under the unfettered guidance of Yale’s Walter Chauncey Camp (1859-1925), in the 1870s the private universities stripped away the time-honoured traditions of “English rugby” and turned the game into American mayhem. The appeal of this “set ’em up and knock ’em down” version quickly spread beyond the elite students of the Ivies, and with its adoption by the working classes inevitably came professionalism, introduced in the industrial Pennsylvanian city of Allegheny in 1892. The American experience closely followed a pattern set in England. As rugby moved from public (that is, private) school pupils - who had resurrected it from original “mob football” in the 1820s - to the masses in the northern counties in late 1860s, the upholders of the old Rugby code decried the inexorableness of professionalism. Out of rugby first emerged the Football Association, which preferred the non-handling code and allowed pay-for-play, and in the 1890s professional rugby. Typewriting as a “sport”, conversely, was always professional. Yes, amateurs sometimes sat beside the pros in typing competitions, but they had next to no hope of keeping pace. They were largely destined to remain anonymous, apart from the few who were “scouted” by Remington, Underwood, Royal or Smith-Corona, and offered the lonely jobs of on-the-road nationwide exhibitors, with the occasional thrill of a speed test against peers. 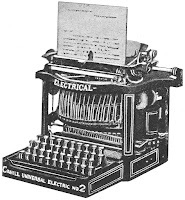 Leading speed typists were employed by typewriter manufacturers and, like the modern day rally car drivers, they were paid to exhibit the qualities of the machine (souped up in most cases, to give the public an inflated idea of the machine’s capabilities). Speed typing had both its scouts and its scorers. The only possible difference is that it was essentially a test of machines rather than a test of human capability. Yet it was the individual typist who was invariably vaunted – though the publicity surrounding that individual was, in the main, generated by the company which had built the machine. For example, The History of Touch Typewriting, published by Wyckoff, Seamans & Benedict (that is, Remington) in 1900 (the year of Remington’s speed typing tests in the image at the top of this post), uses the stories of Remington’s individual speed typists to illustrate the development of touch typing. 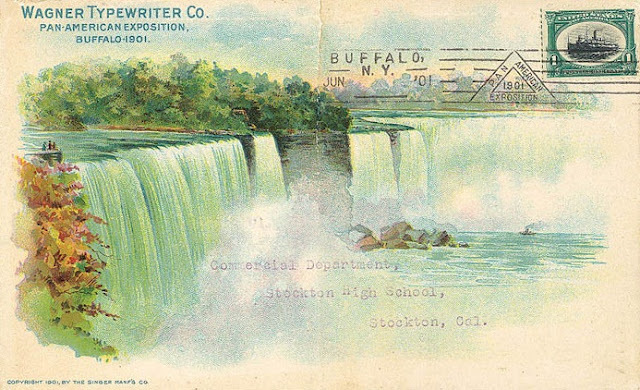 When the photograph was taken, Alice Schreiner was making her first visit to Buffalo, but this time under the employ of the Remington Typewriter Company. She was a stenographer in Remington’s Boston office when on October 23, 1900, she gave two exhibitions of touch typing on a Remington No 6 with a blank keyboard, at the Bryant & Stratton Business College and Remington’s Buffalo office. It was claimed at the time that she was fastest operator in the world using this method, typing from unfamiliar copy 97 words a minute, and memorised sentences at 144 words a minute, on one occasion while blindfolded. Schreiner was still with Remington when The History of Touch Typewriting was published, otherwise she wouldn’t have been mentioned in it. 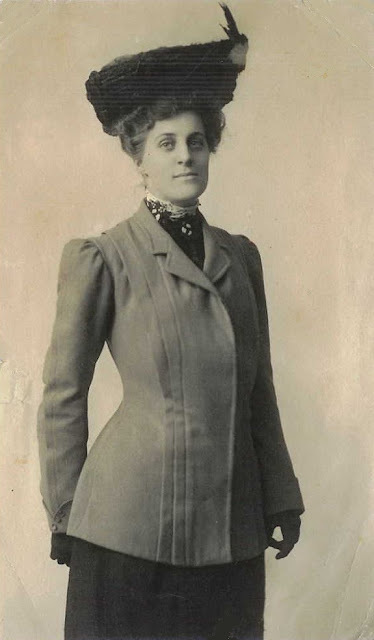 She had typed at 108 words a minute to beat fellow Remington user Edith Paulsen at the December 26, 1900, fifth annual convention of the National Shorthand Teachers Association in Detroit. 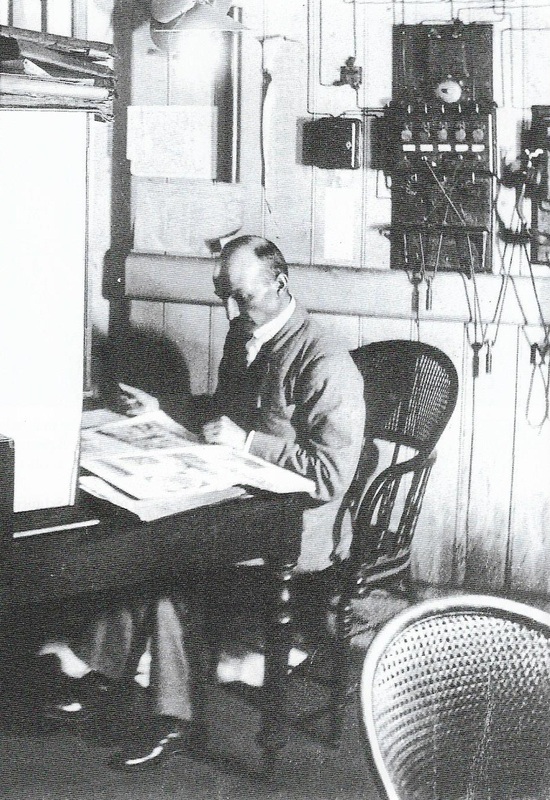 Carrington was joined at the Buffalo World’s Fair by another graduate from the Springfield Business School – where they were both coached in the touch typing technique by Barte Joseph Griffin (1863-1928). 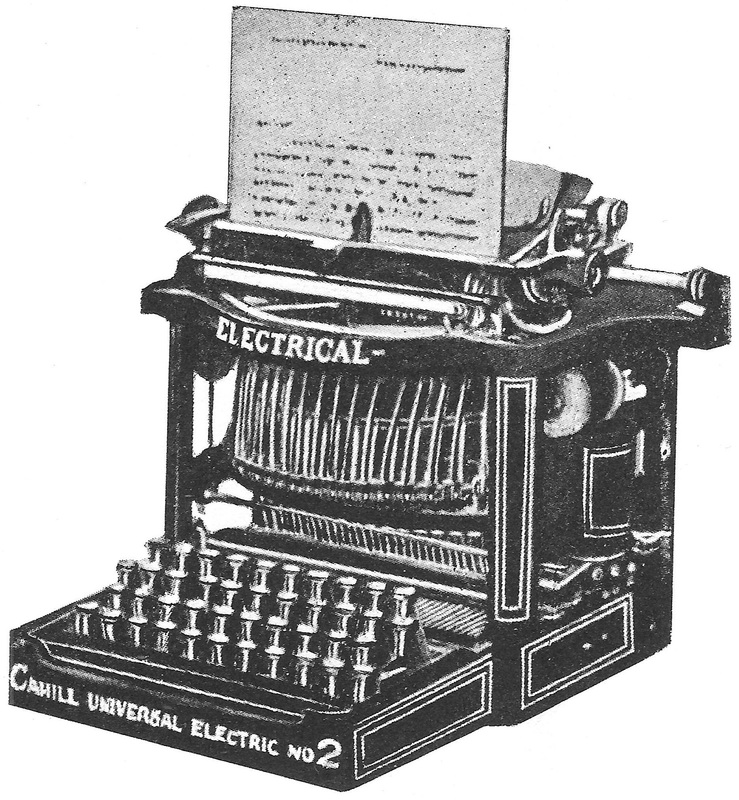 Gertrude Lillian Greeley (1880-1953) demonstrated a Cahill electric typewriter, with which she reached 200 words a minute. Ms Greeley didn’t waste time waiting on a professional typing contract – she married her boss, millionaire paper maker Samuel Raynor Whiting, the son of a congressman, in February 1906. Carrington wanted her back on the speed typing circuit, but Mrs Whiting wasn’t biting. Alice Schreiner married Charles Morehouse Hatcher in 1908, by which time she’d bowed out of competitive speed typing. 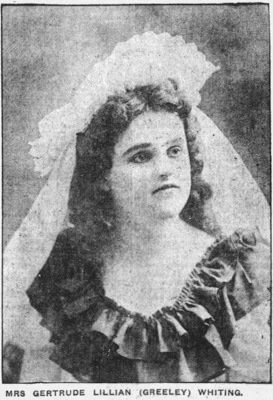 Mae Carrington, however, remained unmarried (“Romance interferes with one’s plans,” she said in 1906) and continued to compete. At the Howard Street Armoury in Springfield, on February 23, 1906, Carrington set a new world record of 2344 words in 30 minutes of typing blindfold from dictation (averaging 78 words a minute). The previous record of 2099 had been set by Remington’s Paul Munter at the Madison Square Garden on November 2, 1905. 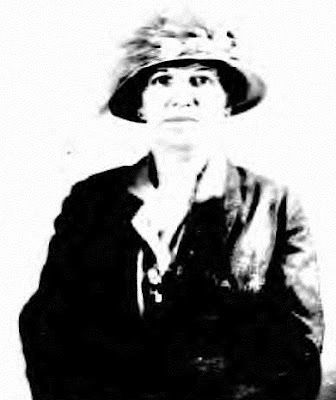 Alabama-born Munter (1880-1950), a Brooklyn-based court reporter, later followed the example set by Schreiner and Carrington by changing allegiance to Underwood in 1907. Carrington’s crowning glory came at the National Business Show at the Madison Square Garden in New York on October 31, 1905, when she beat Rose Fritz in a one hour dictation test, typing blindfold. Carrington typed 3752 words with 20 errors in an hour (Fritz typed more words but made more than three times as many errors). In March 1906 Carrington extended her world record by typing 5221 words blindfold, exclusive of errors, for an average of 87. 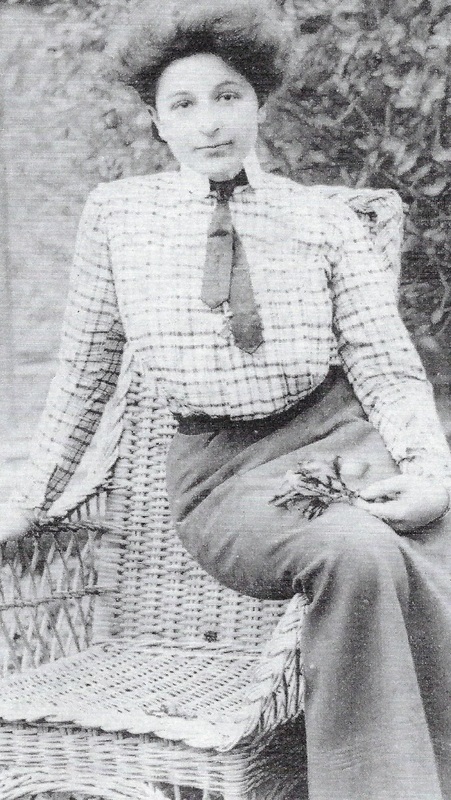 By October that year, however, she had been overtaken by Fritz, as well as Lillian V. Bruorton (1880-1965) and W. May Matthews in the Underwood speed team. Fritz took the first world title with an average of 82 words a minute, and remained world champion for four years. Fritz matched Carrington’s 87 words per minute to win both the 1907 and 1908 world titles. In 1924, when she travelled to Europe at the age of 45, Carrington described herself as a “typewriter expert” in her passport application. and Henry Hamilton Bennett with his camera in 1889. Photojournalism is said to have started in the middle of the 19th Century, more than 20 years before the Sholes & Glidden typewriter went into production. But back then the “news photographs” which appeared in newspapers and magazines were engraved from original prints, taken by pioneer photographers who were not, strictly speaking, also journalists, or indeed who were not working alongside journalists. One photograph, even perhaps one which appears in print in engraved form, might tell 1000 words, but it still needs words to describe where and why it was taken. The earliest example of a photographer and journalist working in tandem is probably the monthly magazine Street Life in London produced in 1876-77, after the advent of the typewriter, by photographer John Thomson (1837-1921) and radical journalist Adolphe Smith (1846-1925), a major influence on Upton Sinclair. Interestingly, though he was born in Headingley in Yorkshire, Smith’s only Wikipedia entry is an inaccurate one in French. Another pioneering team was Henry Hamilton Bennett (1843-1908) and the wayward writer Charles Rollin Brainerd (1840-98). There are many references to the latter’s surname as Brainard, but the family name was actually Brainerd. 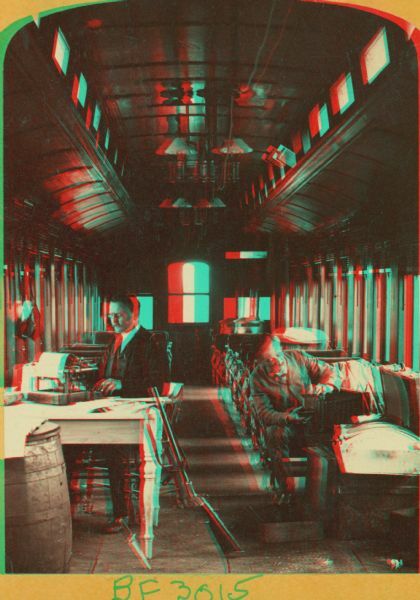 The image at the top of this post is one part of a stereoview of Bennett working on his camera in a private rail car in October 1889, and Brainerd writing the captions on his typewriter. The pair were on a commission from the Wisconsin Central Railway Company to photograph the landscape along the company's track in Wisconsin. Bennett and Brainerd provided their own equipment, including a rifle and knife. Bennett made this exposure by pulling a string attached to the camera. The anaglyph of the same image. An anaglyph is a stereoscopic photograph with the two images superimposed and printed in different colours, usually red and green, producing a stereo effect when viewed with appropriate filters over each eye. Brainerd’s article, published in a guidebook after the trip, explained they had been hired to portray the beauty along the line. It described Bennett's “double-barreled” stereo camera and noted the persuasive power of images. Brainerd’s stories from the journey also appeared in pamphlets and newspapers and he later became the company’s local attorney in Waupaca. While Brainerd has been forgotten by historians, Bennett remains famous for his pictures of the Dells of the Wisconsin River and surrounding area taken between 1865 and 1908. They turned Wisconsin Dells into a major tourist destination. 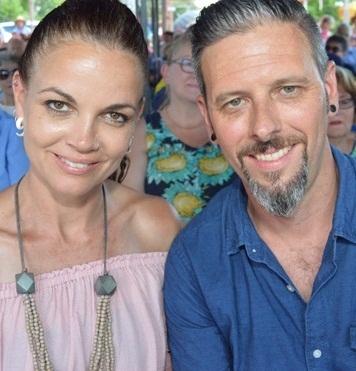 Bennett was born in Farnham, Quebec, but raised in Brattleboro, Vermont. At 14 he settled with his family in Kilbourn City, later known as Wisconsin Dells. Accidentally self-wounded in the Civil War, Bennett bought the Kilbourn City photography studio in 1865. Having set his sights on landscape photography, Bennett built himself a portable darkroom and towed it across the countryside. Dry plates enabled him to abandon the portable darkroom in 1886. Bennett made his first stereoscopic photo in 1868 and invented a stop action shutter. Bennett also built a revolving solar printing house. Brainerd was a bit of an oddball. Born in Ravenna, Portage, Ohio on August 5, 1840, at age six he learned to set type for The Sheboygan Times before his family moved in 1849 to Green Bay, where, still a child, he spent most of his time at The Green Bay Advocate. By 11 he could speak three languages, French, German and English, as well as the Menominee and Oneida Native American tongues. With those skills he was offered work as a clerk on a man’s wage. The family moved to Waupaca in 1853, and Brainerd joined The Wisconsin Pinery. He then worked for the Waupaca Register and at 20 entered Racine College. 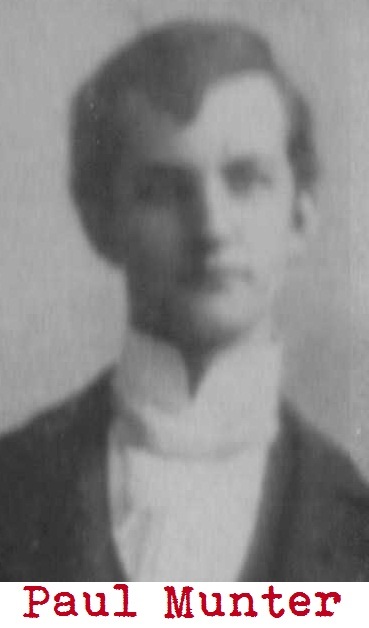 Brainerd graduated in 1864, studied theology at Nashotah, was ordinated to the Episcopalian ministry in 1867, and served in Milwaukee and Quincy, Massachusetts. In 1873 he switched to Catholicism and became a lawyer, being admitted to the Massachusetts bar in 1876 and the US bar in 1878. He practised law in Boston until 1888. One of three patents Brainerd took out to assist newspaper compositing. It would very much have surprised Jessie Tarbox Beals (1870-1942) to suspect that, in death, she would be related through marriage to Brainerd. But that’s what happened in 1943, when Beals’ daughter Nanette (1911-94) married Henry Bowen Brainerd, a distant cousin of Charles Rollin Brainerd, 18 months after her mother’s death. Jessie Tarbox Beals was the first published female photojournalist in the United States and the first female night photographer. She is best known for her freelance news photographs, particularly of the 1904 St Louis World's Fair, and portraits of places such as Bohemian Greenwich Village. Beals prepares to take a high shot from a 20ft ladder in St Louis in 1904. Beals was born Jessie Richmond Tarbox on December 23, 1870, in Hamilton, Ontario. At 14 she was admitted to the Collegiate Institute of Ontario, and at 17 received her teaching certificate. Beals began teaching at a one-room schoolhouse in Williamsburg, Massachusetts, and in 1888, Beals won a subscription prize camera through the Youth's Companion magazine. 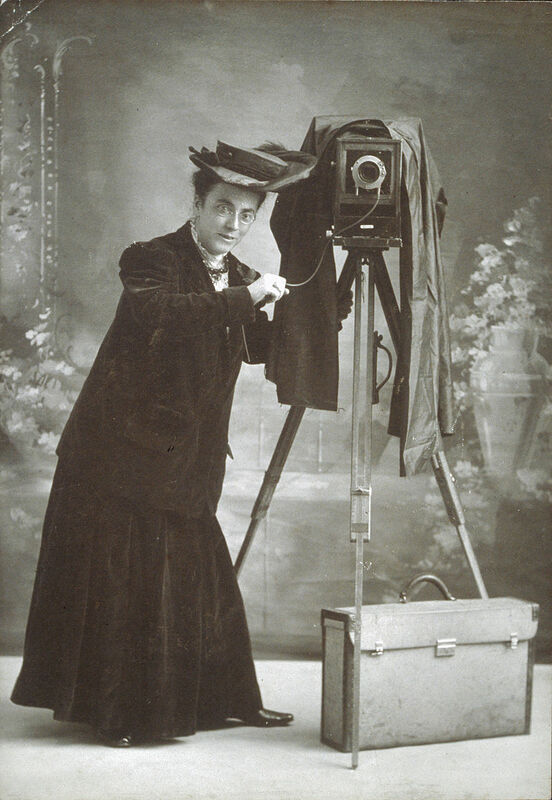 She soon bought a higher quality Kodak camera and set up Williamsburg's first photography studio in front of her house. In 1893 Beals took a new teaching position in Greenfield, Massachusetts, and visited the World's Fair Columbian Exposition in Chicago. In 1899 she received her first professional assignment when she was asked by the Boston Post to photograph the Massachusetts state prison. 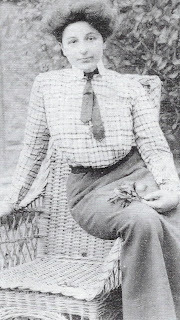 The next year Beals received her first credit line in a publication, the Windham County Reformer. In 1901 Beals was hired as a staff photographer by the Buffalo Inquirer and the Buffalo Courier. 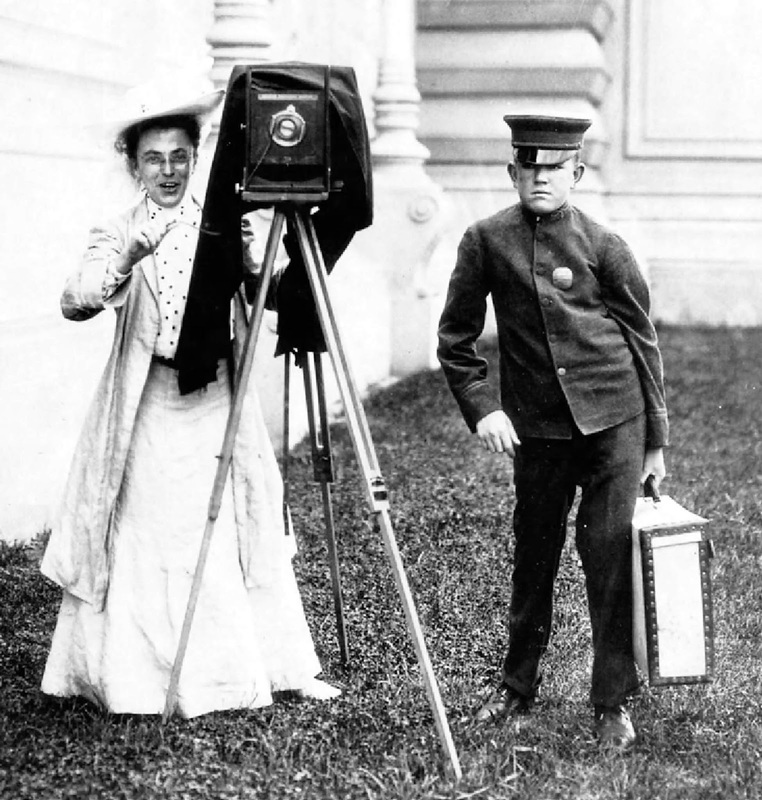 Beals could be seen carrying out assignments in her ankle-length dresses and large hats, with her 8 x 10-inch glass plate camera and 50lb of equipment in tow. She had a different style than most news photographers of the day, focusing on series of pictures that would later be used to write stories, rather than vice versa. In 1905 Beals opened her own studio on Sixth Avenue in New York City. She moved to Greenwich Village and opened a new photography studio and gallery in 1920. 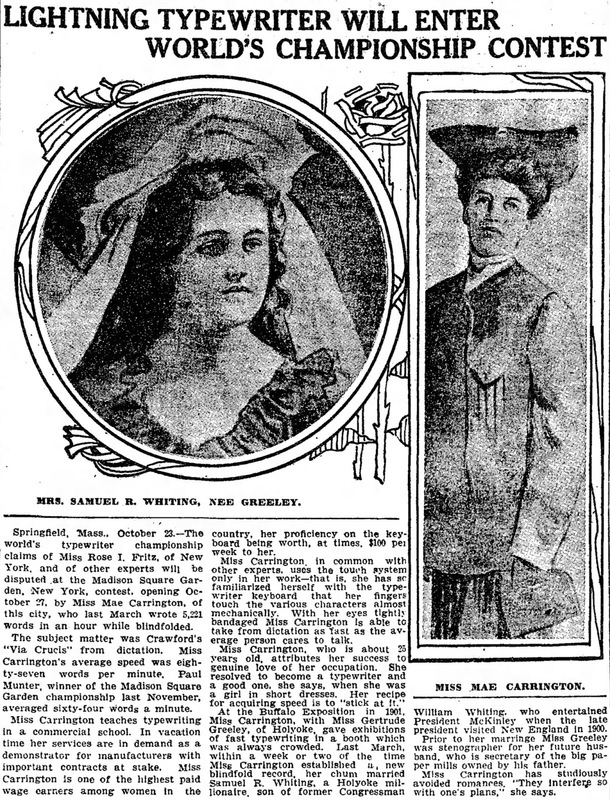 She died on May 30, 1942, at Bellevue Hospital, aged 71. 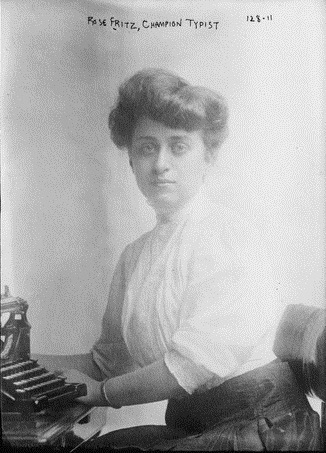 Beals at her Oliver typewriter in 1906.
in a wooden box by Beals' studio window, April 10, 1912. Beals' photo of Norwegian-born author Henry Oyen (1883-1921) in 1913. He died suddenly in his studio of a cerebral haemorrhage, aged just 37. Beals' photo of Emily Post in 1927.